The World Forest Institute (WFI) offers professional development and continuing education programs for foresters and other natural resource professionals, including land managers, researchers, educators, attorneys, investors and the timber industry. International Fellowship—An award-winning 6 month program showcasing Oregon’s historic leadership in forest practices. Join other international professionals as they learn about sustainable forestry from the Pacific Northwest. 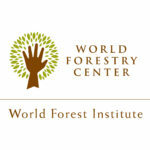 Learn how to become a World Forestry Fellow and check out the WFI Fellowship Facebook page. Conferences & Events –Keep up to date on emerging trends in the forestry and environmental sectors, and network with leaders in these fields. We offer a range of events from small meetings and free lectures to mid and large scale conferences. Order proceedings if you missed these events.